SAN FRANCISCO – These are good times for many auto dealers. Though profit margins are getting squeezed, sales are still forecast to remain above 16 million units for years to come. Rocking the boat in such times may be hard. But The Presidio Group believes it is necessary. “We are strong believers that the way dealers make their money is going to change,” Brodie Cobb, founder and CEO of The Presidio Group, tells Automotive Buy Sell Report in a wide-ranging discussion in the group’s high-rise office in the San Francisco financial district. 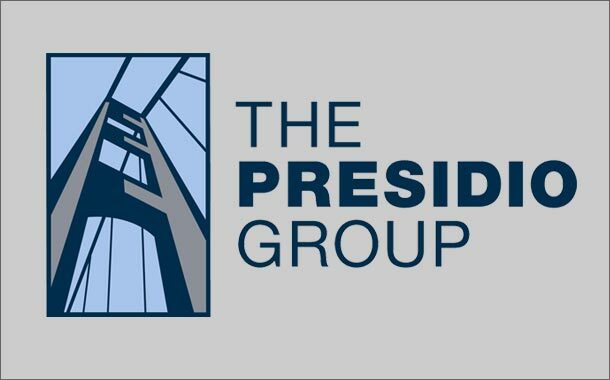 The Presidio Group works with automotive dealership entrepreneurs, helping them raise capital to grow their business and taking equity positions in some companies. 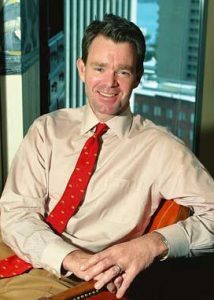 The Group also advises on dealership mergers and acquisitions. Its relationships include the six publicly-listed dealership groups, Berkshire Hathaway Automotive, several private equity firms including family offices, and about 50 large private dealer groups. It expects to do considerably more transactions in the next few years than the average of three or four buy sell transactions in the recent past and expects the historical average transaction value of $100 million to increase as well, says Cobb. These days, he says, the firm spends a lot of time thinking about how the 100-year old dealership business model – which is currently as profitable as it has ever been – is going to change, and how that will impact valuations. Faced with the transition, dealers fall into three camps, he says – those who want to position themselves for the future, those who figure it is time to cash out, and those who refuse to acknowledge that change is coming. Only about 20 percent of dealers fall into the first two camps, and only a small percentage of them will successfully capitalize on the new dealership landscape. “The world will eventually move to fleet servicing,” says Cobb. Dealerships looking to position themselves for the future have some options, he says. They can “monetize their assets” – sell that is. Or they can keep their dealership business and, over the next 20 years, position it for more of a fleet servicing model as ride sharing and autonomy become more prevalent. That will require capital, other strategic attributes, and “the right ownership structure,” says Cobb. Not so fast. Do not discount the burning desire to drive your own car. Its not just about transportation. Driving is the most fun. Independent ownership guarantees this. Suggesting pool or mass transportation is a step backwards. That being said we need to be aware that the service station did in fact go backwards. Long gone are the attendants with bow ties and window cleaner and oil checked when getting gas. So one never knows for sure. But ill put my money on independent ownership of the automobile staying strong. The way cars and trucks are brought to the public indeed will change. 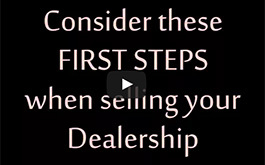 The auto dealer needs to be aware and stay on the cutting edge of these changes.